Do you have what it takes to cooperate with a small group to solve a series of challenging puzzles? 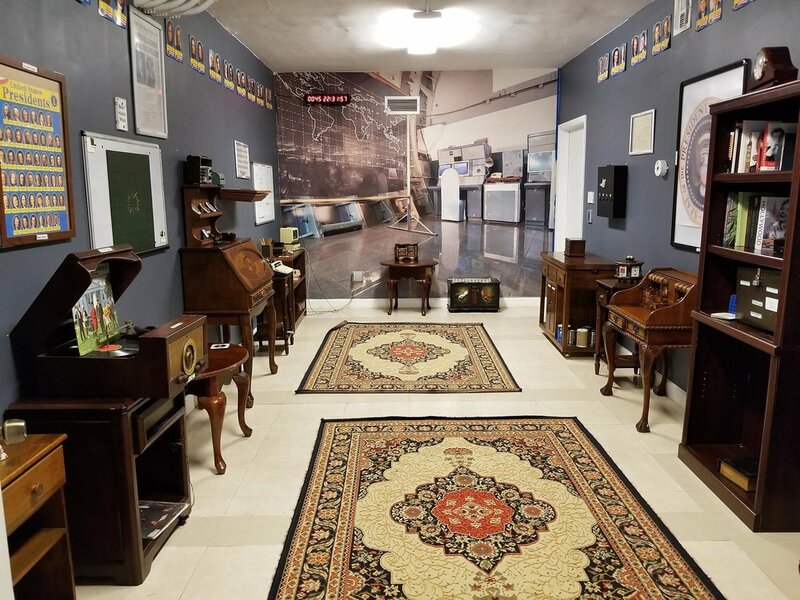 If so, this type of real-world entertainment, known as an “escape room” may get you and your kids away from screens and back to some fun and memorable times. As of September 2017, there were over 8,000 escape room venues worldwide, and their popularity continues to skyrocketing. An escape room is a physical adventure game in which players solve a series of puzzles and riddles using clues, hints, and strategy to complete the objectives at hand, typically requiring you to escape from a ‘locked’ room. After entering an intricately themed room with your team (typically family or friends) the door is locked behind you and then the fun begins. The rooms are part scavenger hunt and part puzzle-solving (put on your thinking caps), and all groups must work together to escape. You have just 60 minutes. For anyone who thinks this sounds even remotely scary, put those fears aside. A room guide is in the room with you at all times and acts as a helper (only if you want it) if you are really stuck. The adrenaline rush of working with the group and using a team approach to solving the puzzles is tremendous, far more stimulating and humanly interactive than playing games on electronic devices. After being introduced to escape rooms just a few months ago, I’ve now tried three of the themed rooms at The Great Escape Room. The Game Room was the most challenging (I didn’t escape), The President’s Bunker was the best theme and story (I got out!) and Sherlock’s Study was challenging but I still managed to get out with time left on the countdown clock. This is seriously fun stuff! While I certainly don’t want to give away event the faintest of hints, the rooms typically have pieces you need to find for a puzzle. Once assembled, the puzzle then needs to be interpreted and analyzed to get to a series of numbers that open a lockbox. The lockbox then has parts that need to be used to get to the next solution level. Eventually, all that has been solved prior allows you to access a key that proves exit from the room. Besides being a great activity for family and friends, this is a unique corporate team bonding exercise. You can book The Great Escape Room at thegreatescaperoom.com or by calling 786-322-6619. They are located at 2315 LeJeune Road, Suite 200, Coral Gables, FL 33143. Two important notes: the entrance is on the second floor with exterior stair walk-up and there are a few free parking spaces right outside if you are lucky enough to snag them. Otherwise, there is a public parking lot across the street. If you happen to live near Palmetto Bay, The Great Escape Room is taking their fun on the road! The Village has arranged to use Thalatta Estate (17301 Old Cutler Road) to put on Sherlock Showdown - A Puzzle Solving Competition on March 8 at 7:30pm. Participants must be 21+ years old. For $35, you get valet parking, appetizers, beverages and a mobile version of an escape room. I plan on being there. You can be too by going to thegreatescaperoom.com/miami/book-now and then click on ‘Other Available Rooms’.